The Intermec IV7 has been discontinued. No direct replacement is available. The Intermec IV7 works with the CV60 Vehicle Mount Computer to create a truly mobile RFID reader. The IV7 has various mounting configuration options including U-bolts and flexible straps, and is designed to operate in harsh environments, such as warehouses and loading docks - anywhere vehicles endure vibration and dust and temperature extremes. The IV7 runs on software hosted by the CV60 computer and connect to external computers via the CV60's wireless connection, giving users true mobile RFID reading. 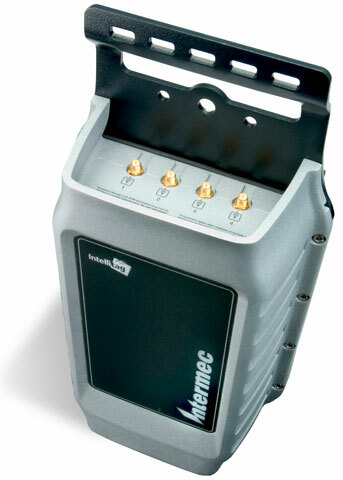 The Intermec IV7 can read several types of RFID tags, including ISO 18000-6b, EPC UHF Gen 2, and EPC Class 1. The IV7 is also configurable for mixed or single tag-type operation, making it the most flexible mobile RFID reader on the planet. RFID Reader, Fixed, Vehicle Mounted, Rugged, Standard, Basic Reader Interface.